"I'm not a toy!!" 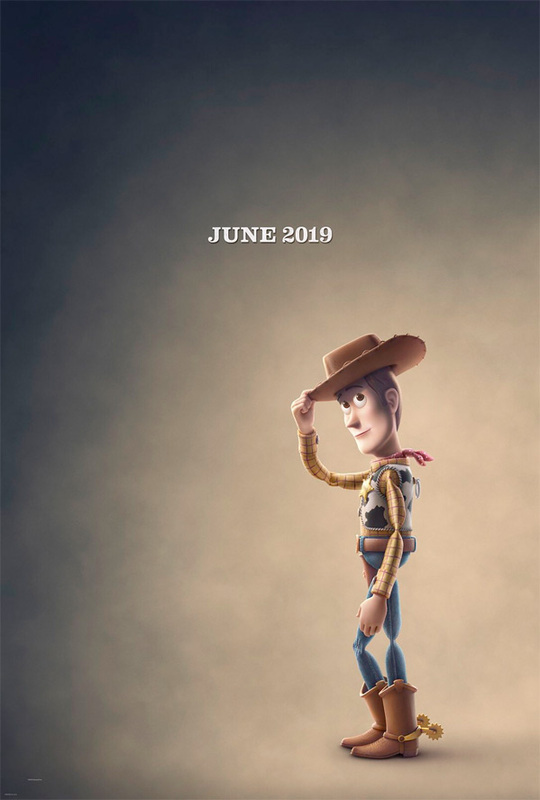 Disney has unveiled the first teaser trailer for Pixar's next sequel Toy Story 4, arriving in theaters in June next summer. This continuation of the beloved Toy Story series, which has been solid even two sequels in so far, introduces us to another new "toy" that will cause problems with the old friends. This little guy is called "Forky" - voiced by Tony Hale - and he's a spork craft project gone awry. With a while until release, this teaser is just a tiny bit of footage - more of an introduction. And it's quite something. Other headlines about this are great: "One of These Toys Is Not Like the Others". Ha, yep. All the voices are back: Tom Hanks, Tim Allen, Joan Cusack, Kristen Schaal, and Bonnie Hunt. I like this so far, but I'm not really sure where they're going to take the story. This must just be the beginning. Have a look below. Everyone's favorite pull-string cowboy sheriff Woody (Tom Hanks), along with his best friends Buzz Lightyear and Jessie, are happy taking care of their kid, Bonnie, until a new toy called "Forky" arrives in her room. According to Forky, a spork-turned-craft-project, he's not a toy at all—and he'd rather skip this big adventure completely, if only they'd let him. Pixar's Toy Story 4 is directed by American filmmaker Josh Cooley, making his feature directorial debut after directing other various projects at Pixar including the short film Riley's First Date?, and the TV shorts "Mater's Tall Tales" and "Toy Story of Terror". The script is credited to John Lasseter & Andrew Stanton & Pete Docter & Lee Unkrich, with Stephany Folsom. Disney will open Pixar's Toy Story 4 in theaters starting June 21st, 2019 next summer. First impression?